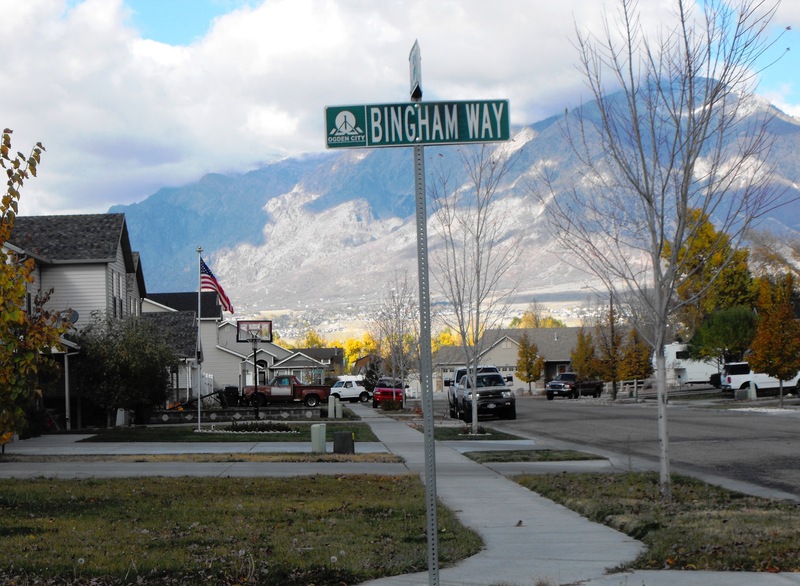 Bingham Way and Erastus Drive were named to honor Erastus Bingham and family who were among the first settlers on 2nd Street in 1851. Erastus and Erastus Jr. established the farm on the south side of 2nd opposite today’s Fort Bingham subdivision. In 1853 Bishop Erastus Bingham supervised the construction of a fort that straddled West 2nd Street. A large community grew in the fort under the influence and early leadership of Erastus Bingham, his sons, Isaac Newton Goodale, and Sam Gates. One Bingham cabin remained at 317 W. 2nd Street for 100 years and was known as “the Old Bingham Home”. Bingham family members lived here for about fifty years and members of the Stone family for the next fifty years. 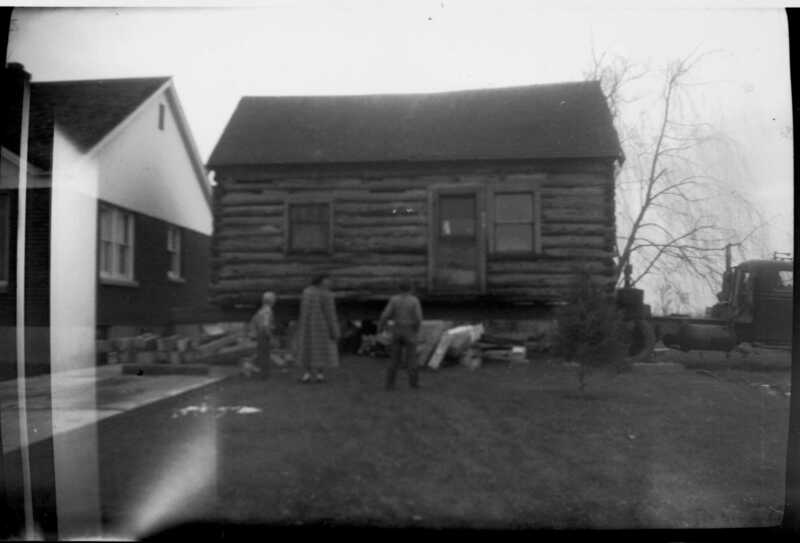 In 1955, under the leadership of Ogden Mayor Raymond Wright, the historic cabin was moved for preservation to the Sons of Utah Pioneers museum in Sugar House and years later was moved again to Pioneer Village in Lagoon, Farmington, Utah. 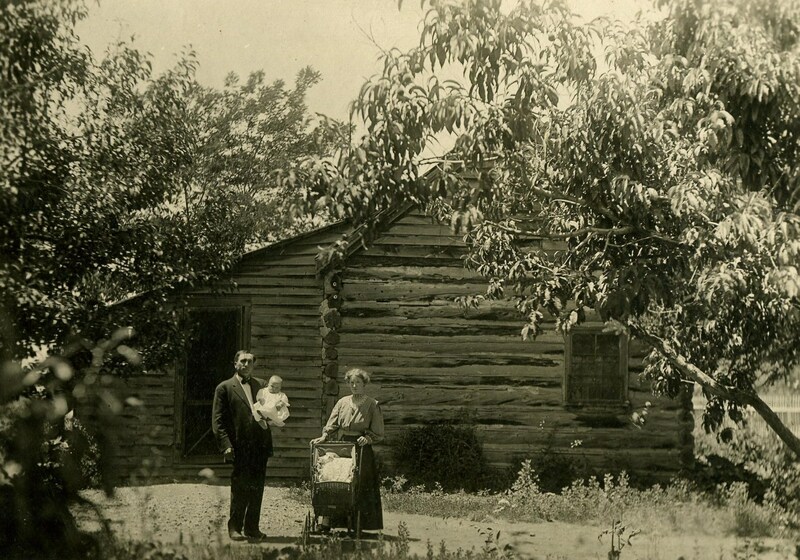 Chauncey & Edna Kent Stone with baby Harvey by the Old Bingham Home where they lived for 15 years; photo 1911. In 1929 the Old Bingham Home looked like this; a garage stands in front of the old Bingham granary; the Thomas Mills barn on the right; photo Edna Kent Stone. Mayor Raymond Wright desired to preserve the historic Bingham cabin where Clyde and Macel Stone Montgomery lived in 1950; photo Standard Examiner, c. 1950. 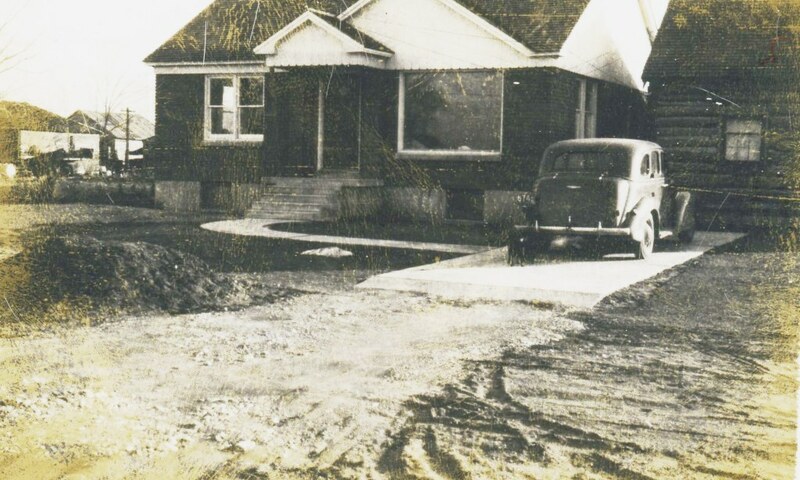 By 1952 the Montgomery family finished this new house at 317 W. 2nd St. and vacated the Bingham cabin; photo courtesy David Montgomery. 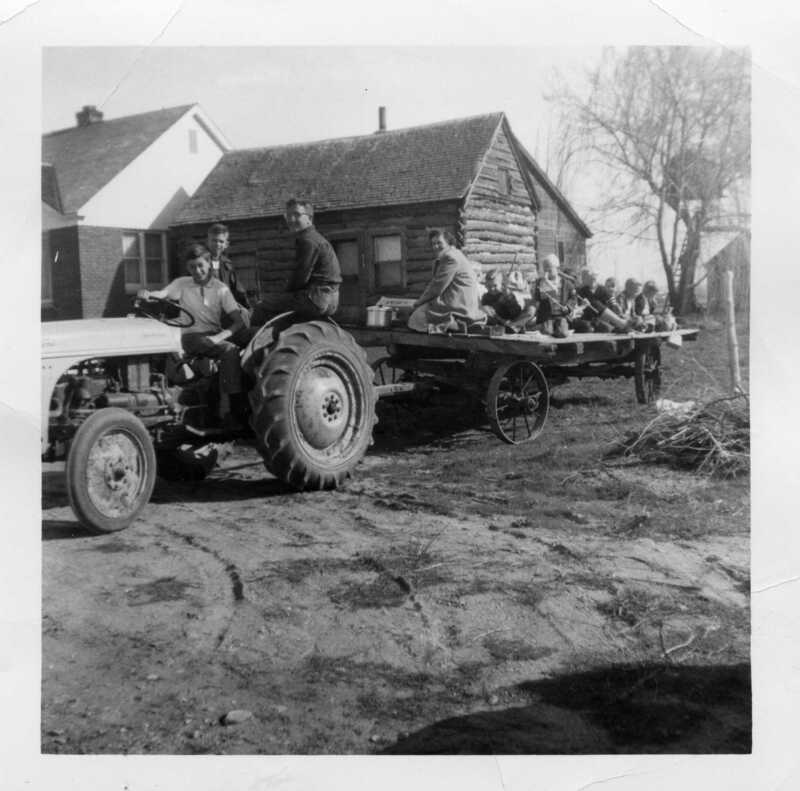 Hayride and cabin; photo c. 1953, courtesy Dave Montgomery. The old Bingham granary c. 1952. Bingham cabin on truck bed ready to move; photo c. 1955, courtesy David Montgomery. TODAY: The Old Bingham Cabin is now located in Pioneer Village, Lagoon, Farmington, Utah; photos courtesy Steve Johnson, 2005. TODAY: The historic buildings that still remain at 317 W. 2nd St. are the Bingham granary (left) and the Thomas Mills barn (right); they are listed on the National Register of Historic Places. Erastus Bingham was born in Concord, Vermont in 1798. At age 34 he joined the Church of Jesus Christ of Latter-day Saints and followed the Prophet Joseph Smith to Missouri and Nauvoo. He and his family spent a winter in Council Bluffs, Iowa, helping to establish that location, and followed Brigham Young to Great Salt Lake City, arriving on September 19, 1847. 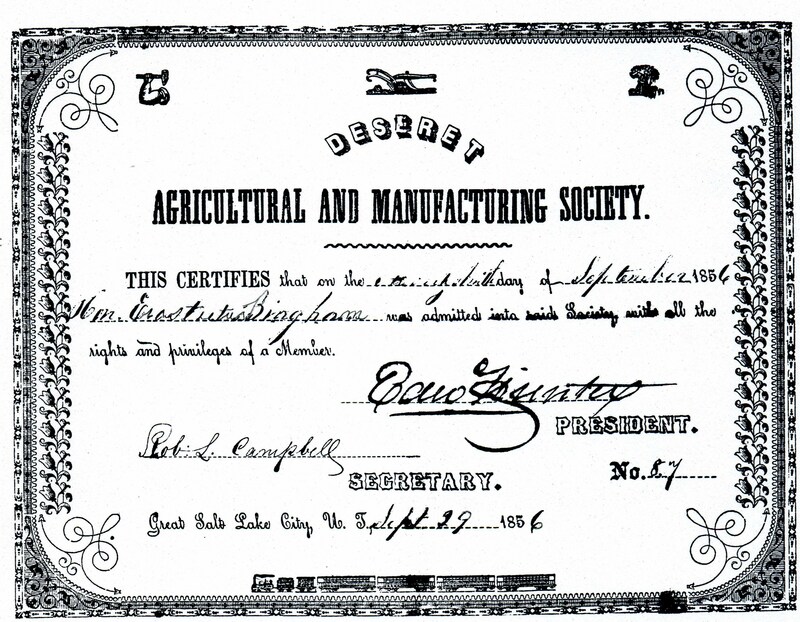 In the spring Erastus was allotted a farm in the Holliday district and a grazing permit in what is now known as Bingham Canyon where his sons, Sanford and Thomas, discovered copper ore while watching over the cattle. 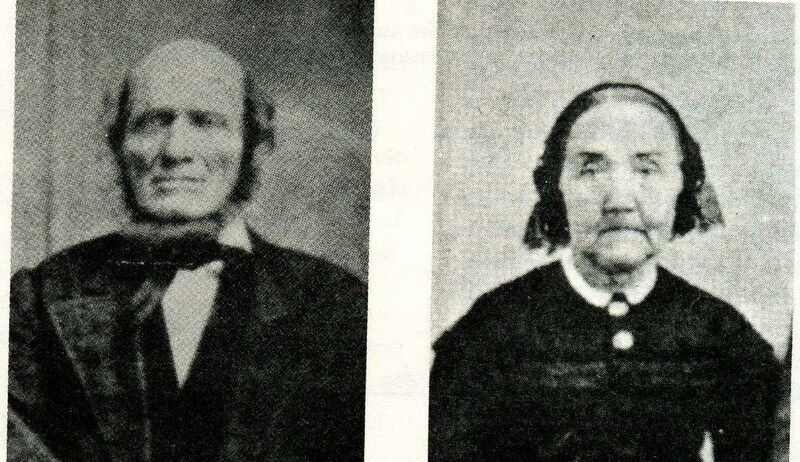 On discussing this find with President Brigham Young, they were advised “not to attempt mining, as the lives of the people depended upon farming and live stock raising.” The Binghams followed counsel and did not mine; they were among those of this era who became great agriculture stewards of the land. This canyon has been known as Bingham Canyon since that time, now containing the largest open pit copper mine in the world. 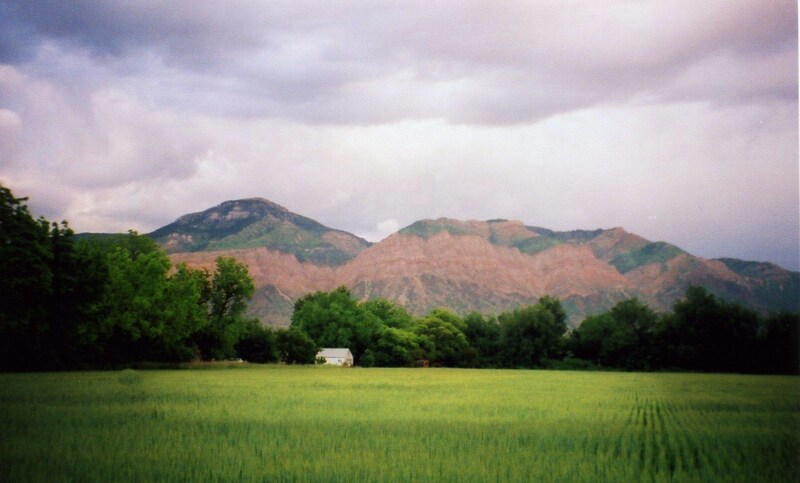 In April 1850 Brigham Young sent Erastus Bingham and family to Ogden. Erastus was made branch president over the Farming Lands on the north side of the Ogden River in December 1850, and on January 26, 1851, President Brigham Young and party came to Ogden and held meetings to organize the Weber Stake of Zion, dividing it into two wards, the North and South Wards, the Ogden River being the dividing line. Erastus Bingham was changed from branch president to bishop of North Ward with Charles Hubbard and Stephen Perry as counselors. The following month, February 1851, Ogden City was named and incorporated. 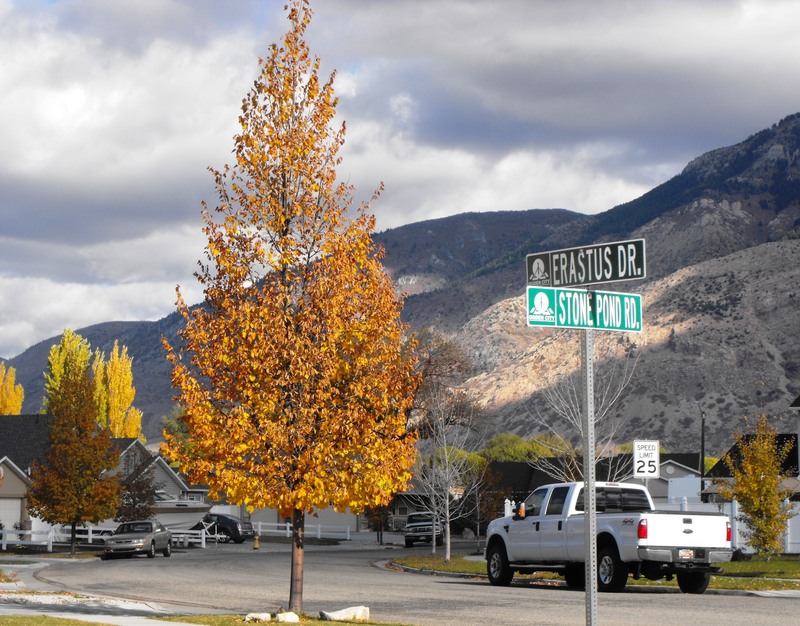 In April 1851 Erastus took an oath of office as Associate Judge of the County Court of Weber County. In the spring of 1851 Erastus Bingham established his final farm on West 2nd Street in Ogden. Bishop Bingham and his son, Erastus Bingham Jr., staked some of the earliest claims on 2nd Street and began plans to extend the Barker Ditch to 2nd Street. This ditch was completed by the work of many people under the direction of Isaac Newton Goodale, Erastus Bingham’s son-in-law. Bishop Bingham’s son Sanford and family also claimed a farm on 2nd Street. His sons Willard, Edwin and Brigham married while the family was living on 2nd Street, and they also became home builders and farmers in this area for a time. Indians camped on both sides of 2nd Street. The Indians and settlers were on friendly terms, but the Indians often took what they needed or wanted from the white man without asking. Securing food was often a problem for the Indians, and since the white man had settled on the Indians’ land without asking permission, the natives felt they had a right to the settlers’ beef cows or other items without permission . In 1852 elections were held and Erastus Bingham became a city councilman to Ogden City. In 1853 Brigham Young advised Erastus Bingham and other Weber County leaders to “fort up” because of the uneasy feeling between local Indians and settlers that still prevailed from the accidental shooting of Chief Terikee and because Indians in Utah County were on the war path. Bishop Bingham supervised the construction of a fort that straddled 2nd Street and soon housed 500 to 600 people, including hungry Shoshone Indians during the winter of 1853-54. The fort became a little city and a place of peace for both settlers and Indians. In 1854 Erastus Bingham served as a member of the first Utah Territorial Legislature. By 1855 the conflict with the Indians had subsided, and Brigham Young now advised the fort residents to break up the fort and move into Ogden City. Bishop Bingham did as counseled and took up a lot in Ogden City but still retained part ownership of the farm. For almost 18 years he served continuously as bishop, first on 2nd Street and then in Ogden City. He had three wives, nine children with his first wife and one child with his third. By 1870 Erastus retired from public service due to his age and health concerns. 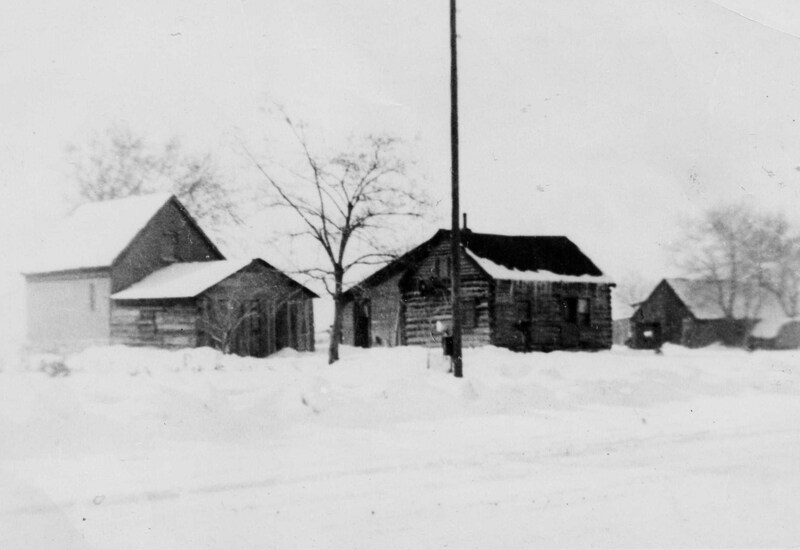 He moved back to 2nd Street and had a large granary built on the farm near his cabin; 2nd Street was a dirt road called Bingham Fort Lane at this time. Erastus died at home in 1882, the same year that the Edmunds Act was passed in the US Congress declaring polygamy a felony. Bingham granary; photo c. 1910. After the death of Erastus Bingham, Patrick Shea purchased the 60-acre Bingham farm as an investment, and the Shea family rented out the farm to others for about 25 years. 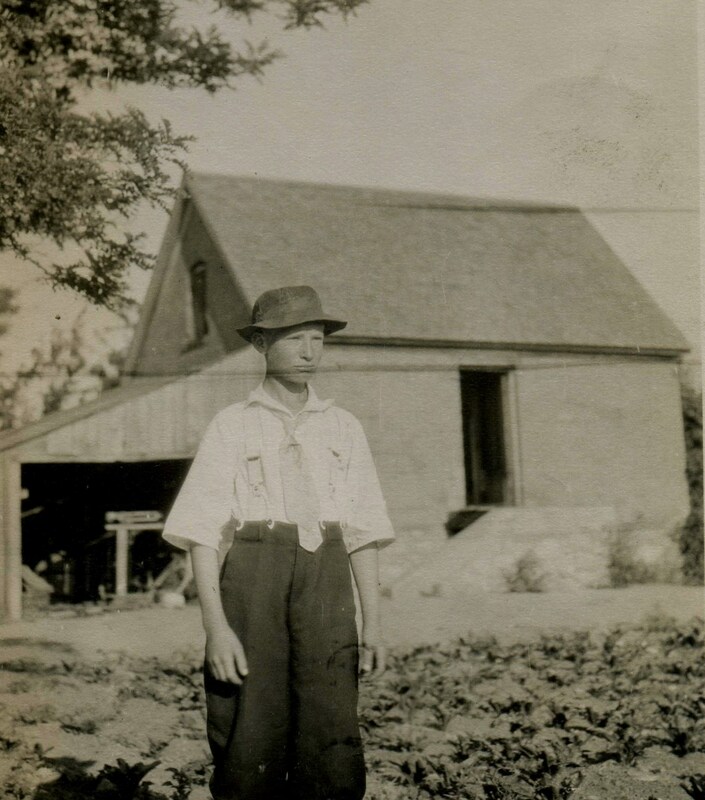 In 1913 John and Chauncey Stone expanded Stone farm with the purchase of the 60-acre Bingham farm. Today the historic, forty-acre 1851 farm still remains between 2nd and 7th Streets, now called the Bingham/Stone Farm, the oldest farm in Weber County. The Bingham/Stone farm was listed on the National Register of Historic Places in 2004. Bingham Way and Erastus Drive are located on the old Gates/Stone farm. Following are two photographs of the area of Bingham Way and Erastus Drive before the farm was subdivided in about 2002. 1997 alfalfa growing in the area of today’s Erastus Drive and Bingham Way; photo courtesy of Bridget King. 1967 view in the area of 360 West. Pictured is Harvey Stone. 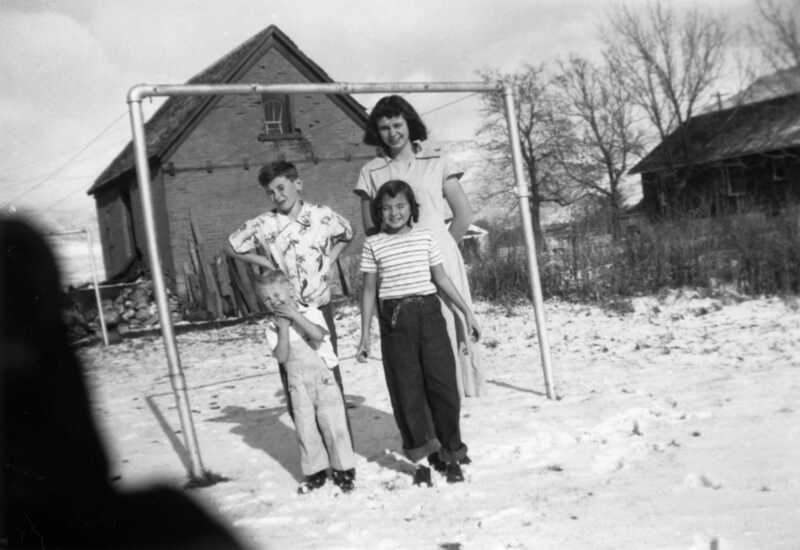 The land of the Fort Bingham subdivision remained a farm for 157 years; photo Anna Stone Keogh. http://www.utah.com/attractions/kennecott.htm. (accessed September 2010); The Descendents of Erastus Bingham and Lucinda Gates, published by The Erastus Bingham Family Corp., Ogden, Utah, 2nd edition 1977, p.4. Ibid, p. 4; Counselor Charles Hubbard and Stephen Perry also lived north of the river; the first lived near Farr’s Mill and the latter at 2nd Street and 1200 West. Iva May Bingham Costley, Sketch of the Life of Martha Ann Lewis Bingham, manuscript, p.2; Fred Pierce interview, Bingham’s Fort, Built to Guard Against Indians, Standard Examiner 1934. Bingham, Belnap and Scoville, Sketch of the Life of Erastus Bingham and Family, Utah Pioneers of 1847, p. 5-13; Editor Milton R. Hunter, Beneath Ben Lomon’s Peak, 1944, p. 85.